ACCORDING to FIFA, Jordan is the 87th-ranked country in the footballing world. 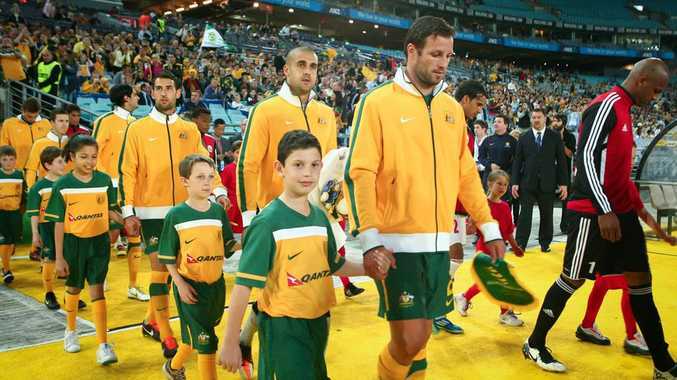 The Socceroos are 62 places above them - but looks can be deceiving. Based purely on rankings, the Jordanians are considered the second worst team in Australia's World Cup qualifying group, but Socceroos captain Lucas Neill said that would count for nothing come 2am (AEST) Wednesday. Neill knows his players will need to produce a strong performance if they want to win and move another game close to playing in the 2014 finals in Brazil. Australia, who warmed up for the must-win game by beating Lebanon 3-0 in a friendly on Friday morning, are third in the group, five points behind pacesetters Japan. Neill is not expecting an easy time of it when he leads his side into battle at the King Abdullah International Stadium. "It is going to be difficult - every country is tough to play against, especially when they are playing at home," he said. "They (Jordan) are the underdog so it is something we have got to be very careful of. "We have got games now against very passionate nations and teams that are not expected to beat us. "Any team that makes the last 10 of a World Cup qualification is a hard team." Good news for the Socceroos is that striker Alex Brosque has declared himself fit to play despite being stretchered off after a late tackle in the Lebanon game. He has scored three times in Australia's eight qualification matches to date.